This week we are focusing on the new online casino Cashmio which soon has become many player's favourite spot when it comes to online gaming. Cashmio really offer something innovative at the same time as players can choose between hundreds of different slots from the world's most successful game developers. This week Cashmio is running several promotion for all depositing members of the casino. 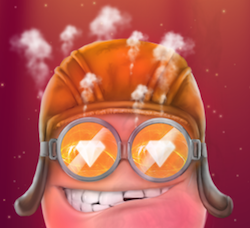 One offer includes special Mega Dega Spins which you might not have heard about before. These Mega Dega Spins are exclusive to Cashmio and the spins works just as free spins but has a value of at least €1 per round which is really good! So if you are tired with free rounds with low value you should really visit Cashmio this week to claim some of these special high value spins! The first promotion we want to inform you about this day is running at Cashmio between 12th and 14th of July. During these days there are both ordinary free spins and high value Mega Dega Spins to get in the casino. Although keep in mind that this offer is only valid for depositing members. So if you've never made a deposit to Cashmio before make sure you do one now to be able to claim all upcoming offers in the casino. Depositing members of Cashmio can make a deposit of €20 during the current promotion in order to get 20 ordinary free spins on the new game from Netentertainment; NRVNA: The Nxt Experience. If you want the special Mega Dega Spins as well you need to make a deposit of €75 or more. 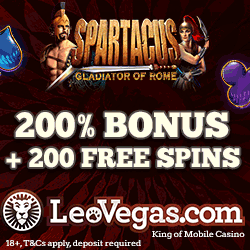 This will entitle you 30 Mega Dega Spins and 20 free rounds, both valid on NRVNA. The spins are not the only thing that Cashmio is offering their depositing players this week. Between 15th and 17th of July there is a generous reload bonus to claim at this new casino. Players that are entitled this bonus will receive communication from Cashmio via either email or sms. The bonus will give you 50% extra up to €100 when you make a deposit to the casino. If you're not a player at Cashmio yet you can easily sign up for free today. 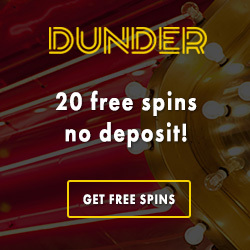 When you create a new account you will get 20 free spins with no deposit required. These spins can immediately be used on Aloha from Netentertainment. After that when you make your first deposit you will get to choose between 2 welcome offers. For example you can make a deposit of €20 or more to get 200 welcome spins that can be used on Starburst and Piggy Riches. A free bonus can come in different shapes and forms. On our site you will find information about the two most common free bonuses. You will also get exclusive offers that don't require any deposit. You can also take a look in our blog where we write about ongoing campaigns including either no deposit bonuses or free spins. Keep in mind that some offers are time-sensitive and can only be used during a specific period. Try the new innovative online casino VoodooDreams. At VoodooDreams you will find a unique loyalty programs with free spins, free money and bonuses. 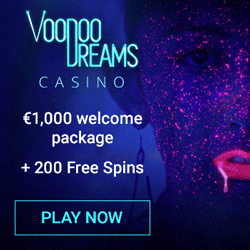 As a new member of VoodooDreams you get 20 no deposit free spins right upon sign up! Then you can claim additional 180 spins upon your first deposit to the casino. 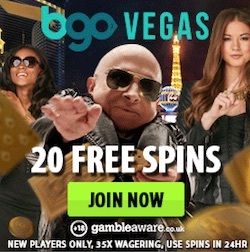 At BGO you get 20 free rounds with no deposit required just by signing up. When you make your first deposit you will be rewarded with 180 additional free spins and £200 extra to play with. On top of this you get 20% cashback every month! If you like what we are doing we appreciate if you like us on Facebook. This gives us motivation to hunt for more free bonuses and good casino offers for you! Don't forget to follow our free bonus blog where we every week write about on-going campaigns and offers. Keep in mind that some offers are time sensitive and are only valid for a specific period. A no deposit bonus is a common phenomena in the gambling world. There are people out there spendning their days looking for a good no deposit bonus. This kind of free bonus give you a chance to win on online casino without having to risk any of your own money. You often get a no deposit bonus in connection with your registration to an online casino. The no deposit bonus consists of an amount you get to play for for free. When you use your no deposit bonus you get a chance to win real money. It's also a good opportunity to try out all the exciting games the casino offer it's players. When you get a free bonus or free spins you will probably have to meet some wagering requirements before you can withdrawl any winnings. In each offer you are going to find some terms and conditions that we recommend you to read through. Not all free bonuses are connected to wagering requirements but most of them are. A wagering requirement means that you have to play through the bonus amount a certain amount of times before the money are available for withdrawl. For example if you get €10 for free and the bonus have a wagering requirement of x30 you have to play €10 through thirty times to meet the requirements. This give you a total of €300 that you have to play before you can make a withdrawl to your bank account. Om du föredrar nya svenska casinon så finns det även free bonus att hämta hos dessa. © 2019 Freebonus.se. All rights reserved.